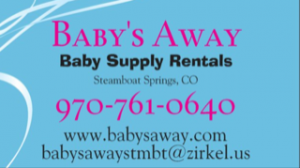 Baby’s Away is a great option for those traveling with little ones. They supply everything you would need from a full-size wooden crib, pack-n-play, jogging stroller, humidifier, toys and more! Just contact Brandy or reserve your items online at their website. The items will be waiting for you in the home prior to your arrival!